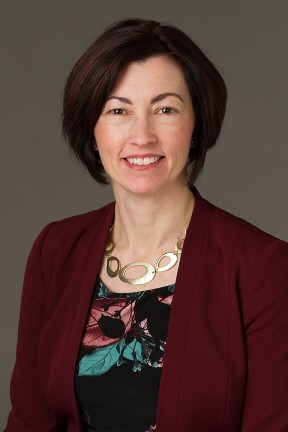 Evangeline Colman-Sadd is the Auditor General of Halifax Regional Municipality. She is a Chartered Professional Accountant (CPA, CA) with an extensive background in performance and financial audit. Evangeline began her seven-year term as Auditor General of HRM in October 2016. Evangeline grew up in Branch, Newfoundland and Labrador. She graduated from Memorial University of Newfoundland with a Bachelor of Arts in economics and business, and went on to obtain her CPA, CA designation. Previously, Evangeline spent 22 years at the Office of the Auditor General of Nova Scotia in various audit and management positions. In addition to her work, Evangeline has a variety of volunteer experience. She assisted with many minor hockey teams at Cole Harbour Minor Hockey over the years. She volunteered with a Public Sector Accounting Board task force, as well as various committees with ICANS/ CPANS. Currently, she is the vice-chair of CPA Nova Scotia’s complaints and Discipline Committee. Evangeline is also a member of the Board of Directors of the Canadian Audit and Accountability Foundation, the Health Association of Nova Scotia, and Igility (HANS subsidiary).